Tijana Boskovic is a Serbian spiker. She has represented Serbia since 2014 and despite her young age she has been a huge addition to the team. Boskovic had only played in Serbia before making the move to Istanbul, Turkey in 2015. 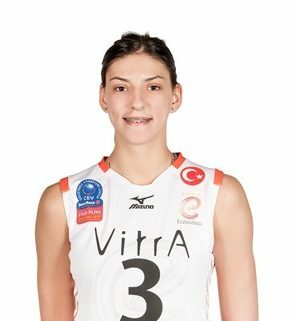 She currently represents Eczacıbaşı VitrA and has played there for the last three seasons. Boskovic debuted for Team Serbia in 2014 and she has been one of Serbia’s key players ever since. She was a part of the silver medal winning team at the 2016 Olympic Games after losing to China in the Gold Medal match. Boskovic helped Serbia win the 2017 European Championships after taking bronze two years earlier. She was named the MVP of the tournament. She was also chosen as the Best Player in Europe and the Young Athlete of the year in 2017.